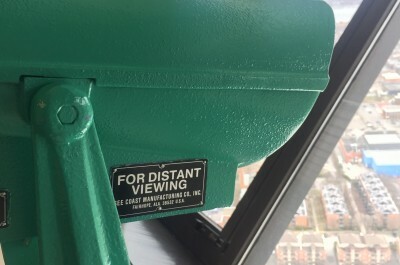 The Iditarod Great Sled Race, which carries dogs and their mushers over a breathtaking array of Alaskan landscapes, has long captured our attention here at #ISeeChange. For 43 years, no matter what the conditions, mushing teams have pounded north through the heart of Alaska, from Anchorage to Nome. 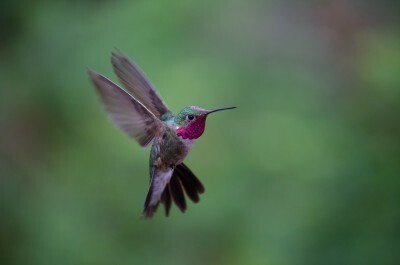 Along the way, they encounter a punishing and solitary 1000-mile track among tundra and spruce forests, over rivers and across mountain passes. Those conditions are changing dramatically. According to the U.S. Environmental Protection Agency, over 6 decades (including the entire life of the Iditarod) winter warming has increased by 6 degrees in Alaska. How can we tell a mild winter from an early spring? Early this week the race made big news when Alaska Railroad cars pulled 350 cubic yards of snow into Anchorage to help create a narrow track for the first leg of the race. The ceremonial leg was shortened from 11 miles to just three. The “last great race” connects not only landscapes, but seasons. 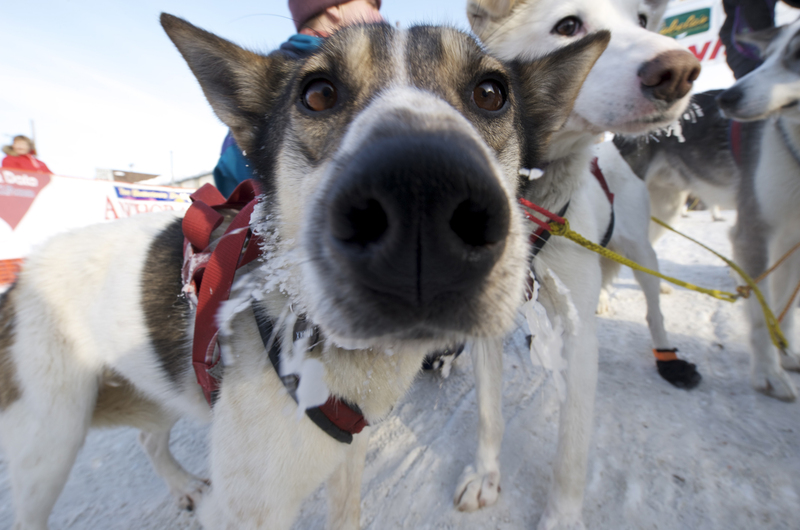 As mushers close in on the finish line with just a few days left, we’ve been thinking about the seam between winter and spring – and how you can help us identify trends over time. Here’s a hint: temperatures are a clue, but not the only clue, and not always the most obvious one. The first two months of 2016 have smashed heat records. Winter has been mild, not only in the United States, but throughout the Northern Hemisphere. Mild winters, whether aided by El Nino or not, are often connected to climate change. In Oswego, New York, overnight street parking is prohibited in winter, so that snow plows have more room to clear roads. But this year the mayor lifted the ban almost a month early, because with snowfall well below average, the accommodation for snow isn’t necessary. And #ISeeChangers in New York and Connecticut saw sap moving early in maple trees. Warm days (and, yes, cooler nights) help get the sap flowing in maple trees. Early spring, or a false spring? Even with the aid of temperatures, determining true spring can be tricky, because in some places, warm weather is a spring fakeout. While nice weather can make a gardener’s hands itchy for planting and pruning, a few warm days in a row don’t preclude the possibility of a final frost. Those can happen as late as May. One characteristic of a false spring is a thaw, and a thaw can confuse plants. Remember those maple trees up north? Sap producers welcome mild days in late winter and early spring, but they don’t want a false spring: if trees begin to into bloom before winter is truly over, the syrup crop suffers. We’ll check back later this spring to see how this year’s syrup turns out, but in the meantime we’re keeping an eye on what happens with this last bit of winter. “Sled dog racing will have to adapt to this trend of low snow and warmer winters,” says Iditarod musher Cody Strathe. 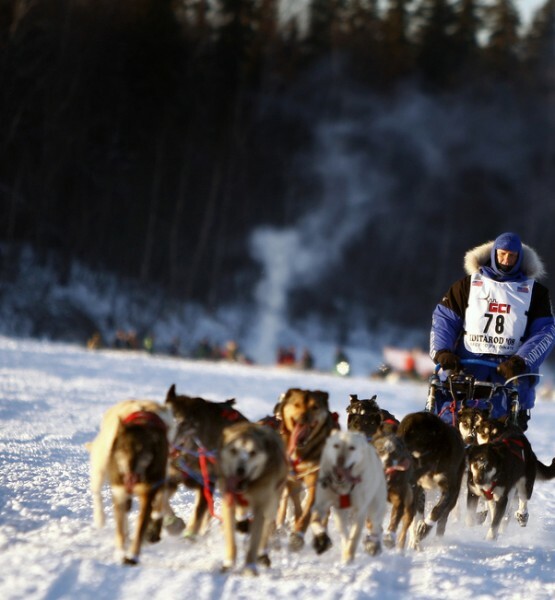 The Iditarod may have had to shorten its ceremonial course, but organizers still permitted the timed portion of the race to start as planned in Willow, Alaska last Sunday – even though snow conditions in the area hovered near record lows for the second straight year. 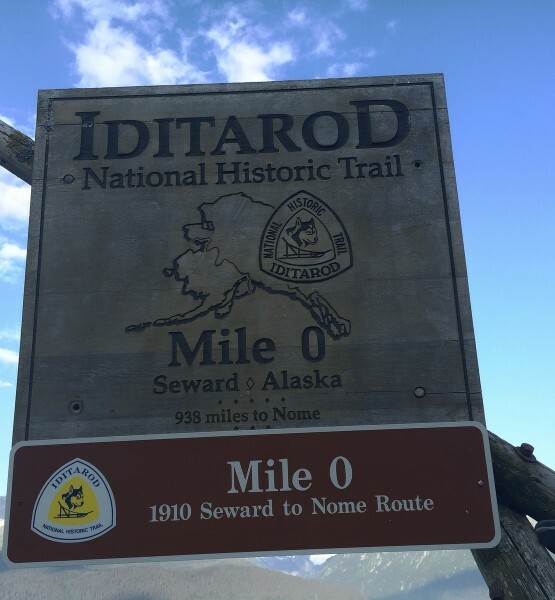 Last year, the Iditarod’s organizers moved the start of that portion of the race fifty miles north for only the second time in the race’s history, upending local economic projections for tourism related to the race. That’s just one impact of a changing climate in Alaska, where according to the E.P.A., temperatures in Alaska are rising at a rate twice as fast as that of the continental United States. Even in the lower 48, a lack of snow is putting a dent in the winter sports industry, to the tune of tens of millions of dollars lost when a region goes dry. At the Iditarod, fast-melting ice brings with it fast-running water, yet another risk on an already risky and long course. And warm winter brings new concerns for four-legged competitors, too; the dogs are bred to love truly cold conditions: zero degrees is much better than forty. Basically, we’re watching dogs and how their mushers handle them, for the next few days. Noticing changes like that – for people, for dogs, and for other living creatures – that’s exactly what we’re after at ISeeChange. …and you can help us.